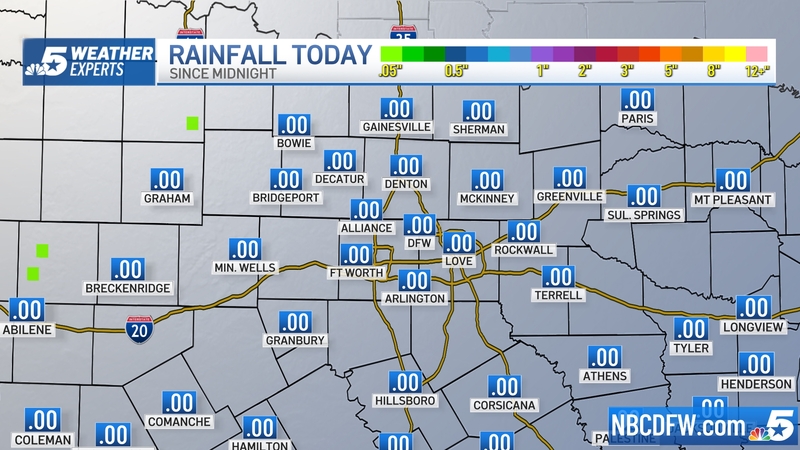 Thunderstorms and strong winds that drenched North Texas overnight with several more inches of rain are pushing across East Texas Saturday. The National Weather Service has issued a Flash Flood Watch until noon Saturday for the following counties: Bell, Bosque, Comanche, Coryell, Ellis, Erath, Falls, Freestone, Hamilton, Henderson, Hill, Hood, Johnson, Lampasas, Leon, Limestone, McLennan, Milam, Mills, Navarro, Robertson and Somervell. In the Houston area, an official said a tornado has been reported in southern Harris County, and officials were checking on any possible damage there. Francisco Sanchez of the Harris County Office of Emergency Management said 4-7 inches of rain has fallen since Friday night and more was expected. He said many locations had high water and more than two dozen water rescues had taken place. Two people already were known to have died -- in Austin and near San Antonio -- when they were swept away by flood waters. A man and a woman also were still unaccounted for in separate incidents. Several roads were covered by water in North Texas Friday night, including Mockingbird Lane, which was closed at about 10:30 p.m. near Harry Hines Boulevard due to rising water. In Johnson County, rescue crews were dispatched to State Highway 67 near Farm-to-Market Road 157 in Venus for a report of a car stranded with people inside. Elsewhere in Johnson County, several roads were blocked by emergency personnel to keep drivers from encountering high water in Alvarado and Lillian. In Central Texas, fast-moving storms packed with heavy rain and destructive winds overwhelmed rivers and have stalled traffic on Interstate 35 in San Marcos due to high water. 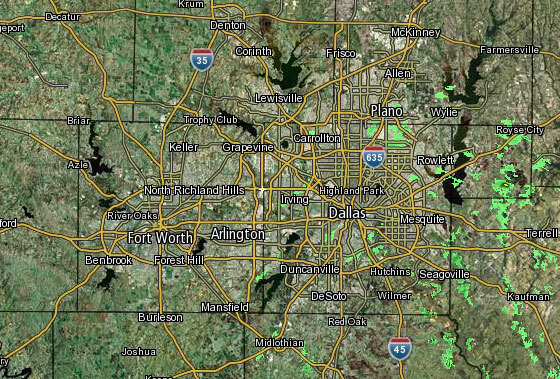 NBC 5 meteorologists said now that the rain has moved on, the remainder of Saturday is expected to stay dry. A fast-moving storm packing heavy rain and destructive winds has overwhelmed rivers and prompted evacuations in the same area southwest of Austin that saw devastating floods in May. The Texas Thunder Truck traveled south Friday as high water led to evacuations southwest of Austin. Friday's storms hit in the same area of Central Texas that saw devastating spring floods in the spring. The Blanco River in Wimberley, southwest of Austin, swelled to about 26 feet, well above its 13-foot flood stage. Residents were evacuated from the area and a community center was opened to shelter people. Kathleen Haney was staying at a bed and breakfast in Wimberley and got caught in flash flooding Friday morning. 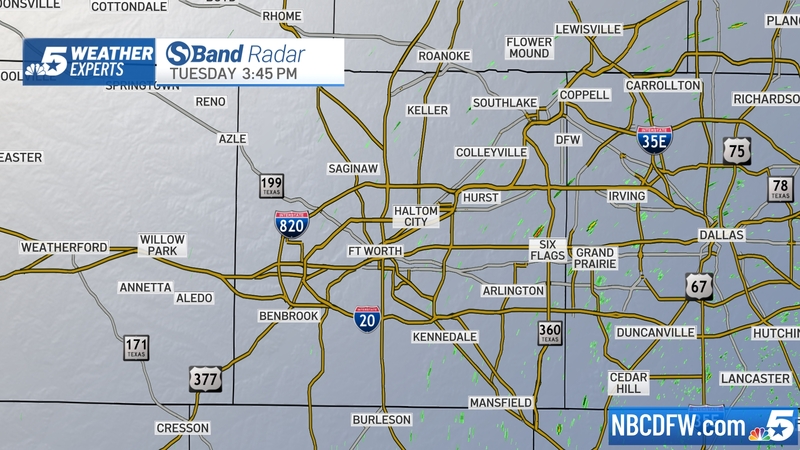 Kathleen Haney of Dallas needed to be rescued. Haney was staying at a bed and breakfast in Wimberley when she got trapped in rising floodwaters. She had to be rescued by the National Guard from a second floor balcony when more than four feet of water flooded the first floor. "They made a human chain, and used rope, and roped us up and then, where the torrent was really bad -- they kind of pushed us toward the other person. Because it was fast enough that it swept your feet out from under you, and you were kind of free floating, holding on to the rope, and then they grabbed you and dragged you over to the other side," Haney said. Torrential rains over Memorial Day weekend inundated the Blanco and raging river waters tore at least one home from its foundation, killing members of two families inside. The storms at that time killed more than 30 people in Texas and Oklahoma. There were no fatalities reported from Friday's storm as emergency personnel across Central and South Texas rushed to close roadways overwhelmed by water and respond to high-water rescues. 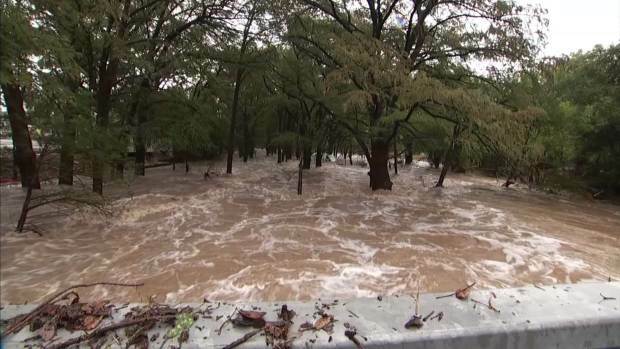 Near Austin roads turned to rivers as storms dumped more than six inches of rain an hour. Flash floods swept one woman's car away. She was pulled to safety from the rising waters by passers-by. "I was coming here and tried to turn around, and then I got swept in," Rebecca Ochoa said after being pulled to safety. Flash floods in Central Texas swept Rebecca Ochoa's car away, she was pulled the safety by passers-by. In San Antonio officials reported more than a dozen road closures as the weather pattern soaked the already saturated area. Forecasters said flooded parts of Texas can't handle another soaking after getting upward of 16 inches of rain in a matter of hours but that more storms might be on the way. National Weather Service meteorologist Jason Runyen said a weather disturbance form Mexico has overwhelmed already-saturated neighborhoods and swollen rivers between Austin and San Antonio. It's the same South Texas region that remnants of Hurricane Patricia pummeled last week. Runyen said the rain will leave by the weekend but not before more showers potentially sock the area again Friday afternoon. Major flooding was occurring along several Central Texas rivers and creeks, the National Weather Service said. Besides the Blanco, the Guadalupe River in the Austin suburb of New Braunfels was flowing more than 2 feet above its flood stage. North of New Braunfels, the river churned violently as the water rushed near homes and warning sirens blared. Department of Public Safety Sgt. Jason Reyes said minor injuries were reported southeast of San Antonio where a tornado is believed to have swept through the town of Floresville. Reyes said damage included a large trailer blown from an RV park and deposited on the roof of a three-story hotel nearby. Ruth Veliz, whose parents own a taco shop in Floresville, said about a dozen customers and employees were there at 6 a.m. when the suspected tornado hit. She said one of the employees yelled "Tornado!" and ran to the door to try keeping the wind from carrying it off. But a customer pulled the employee aside so that she wouldn't be pulled away by the wind herself. "The door was flying open with her as she was trying to close it," Veliz said. Those in the restaurant took shelter anywhere they could find it, including under tables, she said. "We were all caught off guard, everyone just grabbed on to what they could get their hands on," she said. The winds ultimately ripped the door off the building and damaged windows, but no one inside was injured, Veliz said. Wind gusts of up to 70 mph were reported in some places and a tornado watch was in effect for Austin, San Antonio and other areas, as were flash-flood warnings. "Based on what we've seen so far this storm has caused severe damage in the area," Reyes said. Storms Friday in Central Texas forced evacuations and shut down a busy 10-mile stretch of interstate. Flooding caused Interstate 35 to close between Austin and San Antonio, with motorists in southbound lanes being forced to turn around and drive on the shoulder against traffic to escape the area. Many vehicles on the interstate, one of the primary arteries through Texas, were abandoned by their drivers. Guadalupe County sheriff's Capt. 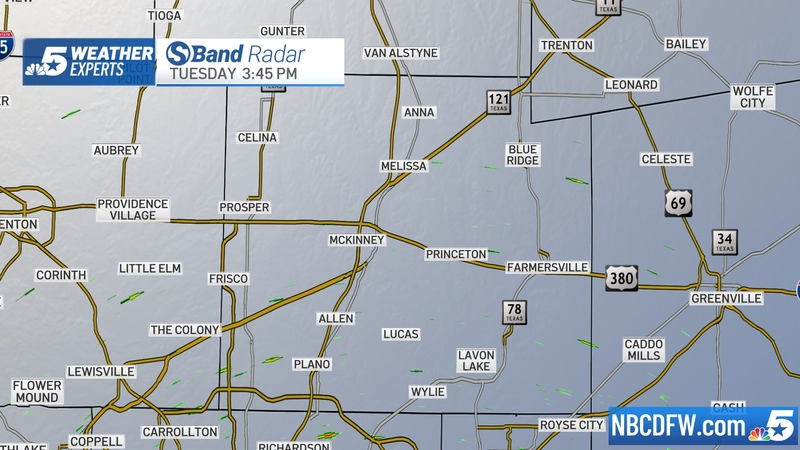 Tom Meeley said some houses and buildings between Seguin and Zorn lost their roofs. Several buildings were damaged in downtown D'Hanis, a Medina County town of about 750 located 40 miles west of San Antonio. Nadia Tamez-Robledo lives near Austin-Bergstrom International Airport and said winds blew down her fence as the storm also brought thunder and lightning. 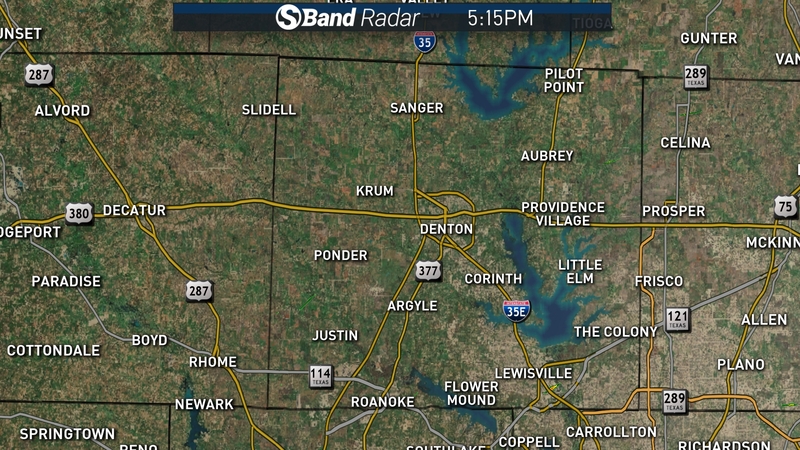 Denton County officials reported minor flooding Friday evening as heavy rain continued in North Texas. She was driving to work when she heard a tornado warning and decided to return home. "I'm very new to the Austin area so I don't know anything about flash flooding," she said. "I've never had to deal with it. And it's definitely causing me to worry." 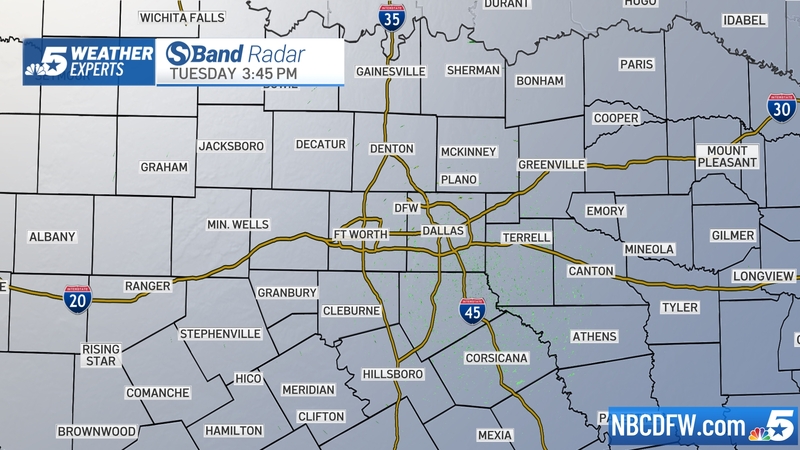 National Weather Service meteorologist Steve Smart described the storm system as a "very moist and unstable atmosphere" that's moving into North Texas. Forecasts call for Houston and other regions of Texas also to be hit by heavy rain as the storm system moves eastward into Louisiana and beyond. Austin Bergstrom International Airport suspended all flights after a half-foot of water flooded the air traffic control tower. The Houston Air Route Traffic Control Center, which normally controls high-altitude traffic over the area, assumed responsibility for the airspace. 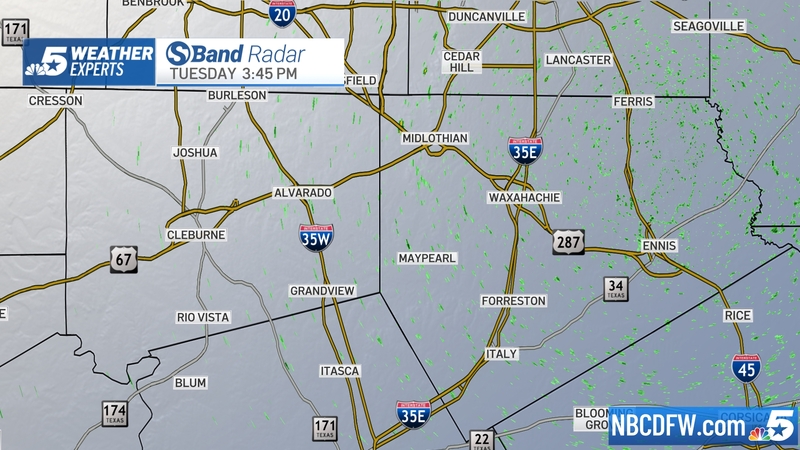 For safety reasons, the FAA increased spacing between aircraft using ABIA which could have resulted in delays. A temporary tower is being brought in from Kansas City and is expected to arrive late Saturday, KXAN-TV in Austin reports. It is expected to be up and running by Monday. 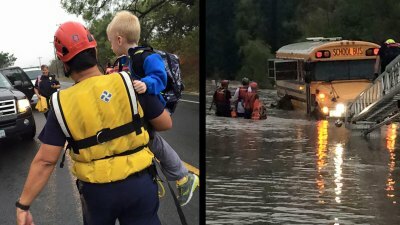 The Bexar County Sheriff's Office shared these photos of police and firefighters rescuing children from a school bus stuck in high water Oct. 30, 2015. In Bexar County, MySanAntonio.com reports at least seven students and four adults were rescued from a school bus stuck in high water Friday morning. MySA reports four of the children had special needs and were rescued from a bus stuck in high water near Scenic Loop Road and Low Road near Helotes. Three other students and two adults were rescued from another "flooded bus" on Scenic Loop and Menchaca Road. 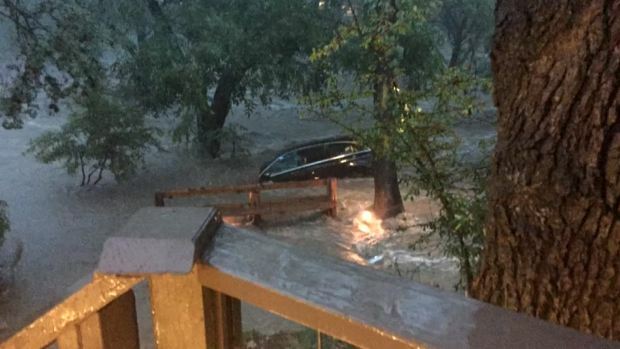 KVUE in Austin shared a viewer's video on Twitter recorded as his car was swept downstream. The man can be heard in the video saying he was floating down a creek and that he had called 911 who advised him help was on the way and to stay in the car. At the end, he told his family he loved them. Dallas police are stepping up their patrols Friday night around popular entertainment districts because of Halloween weekend. Officers say the rain makes things extra dangerous, because it reduces visibility for drivers and makes the roads slick. Popular nightspots in Deep Ellum, Downtown, and Uptown fall within the Central Patrol Division. Dallas police are stepping up their patrols Friday night around popular entertainment districts because of Halloween weekend. Maj. Lonzo Anderson said officers will focus their patrols when possible around the bars and clubs, both in police cruisers and bicycles, despite the weather. "Rain isn't so fun, no, but we do have rain gear they can wear tonight to do their duties," he said. 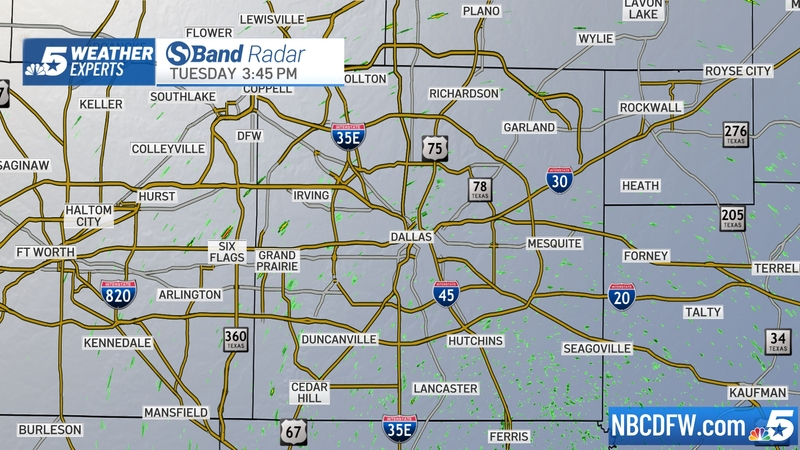 People scrambled for cover from the heavy rain Friday evening in Dallas. Anderson said on particularly crowded bar weekends – like Halloween – the bicycle patrols are important. "Even if there's traffic congestion, they can maneuver through traffic, maneuver through neighborhoods to do what they need to do," Anderson said. Bar owners in Uptown are confident it will still be a busy weekend. "The rain doesn't deter Uptown people," said Cheston Christie, co-owner's of Christie's. "They want to come out, they want to have a good time. They'll just be in parkas instead of costumes maybe." Christie also thinks the rain could be good for business if crowds come out in force. "They may not bounce around as much in the rain. That'll keep them here longer. That could work to our advantage sometimes," he said. Heavy rain caused headaches in Tarrant County, where several wrecks were likely caused by slick roads.